THE METAL BLOG (by Yath): Is Deathcore really all about the looks? First thing, what on earth is Deathcore? It doesn’t really mean much honestly, it’s just another new label to describe modern death metal bands, influenced by several movements other than traditional Death Metal. That label appeared to describe Metalcore bands that were heavier than the regular ones. Most of the bands come from the US and yes, one of their main characteristics is to have fantastic artworks, very cool merch and nice, studied looks. I was walking around some Metal Market at a summer fest earlier this year and it really shocked me to see all the cool Tshirts with band names I didn’t know about. And of course, the haters use this to criticize Deathcore bands and accuse them of being opportunistic and shallow. Of course dudes. New bands, with new looks for the new generation, they have to be opportunistic right? Back in the day, bands were soooo much real, genuine, integer…I really hate that old fart mentality. New generation means new looks and new mentality; we have to accept that. And it’s not about being pro or anti Deathcore, it’s about finding the right bands, as usual. To illustrate this, I chose 2 radically different bands, that both have awesome looks. 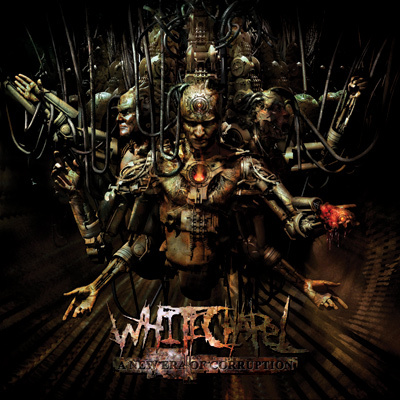 The first one is Whitechapel, and I think that their music is really awful. I bought the record called A New Era Of Corruption By mistake, and I still regret it after a few spins. The artwork is FANTASTIC though; a superb black digipack with very complex "man meets machine" art. The golden font is bright and classy; it makes you feel you’re holding something really precious in your hands. But as soon as you play the CD… It’s a disaster. The guys obviously can play. They can play fast and they can play sharp. It’s full of violence and heaviness, but it’s completely harmless because it has no soul. Nothing, just cold blunt riffing, with no personality and no feelings. You can play this record over and over again without even noticing it. A shame but a very good lesson that shows that it’s not enough to be technically good, you still need that bit of genius to compose proper songs. The second example I chose is far more exiting and well recognized, especially here in Europe. I just LOVE The Black Dahlia Murder. They also have awesome looks. The new record called Ritual and it's very beutiful digibook has this ritualistic approach and also makes you feel you’re holding some Black Magik initiation book. But this time, the music fits. 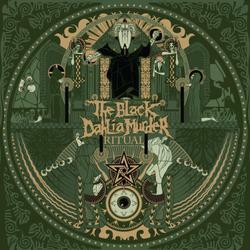 The Black Dahlia Murder’s Deathcore is powerful, smart, dynamic and particularly well composed. The band is technically impressive but they know how to throw in some slow parts and some cool leads to let the tension down for a moment, before they punch you back in the face with a blast beat. Ok, now that one looks good but also SOUNDS good. They also can create some pretty freaky atmospheres, something cold and typically Scandinavian. Not bad for a band from Michigan right? 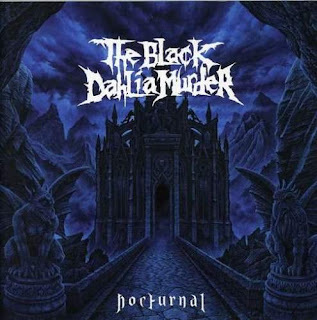 If you dig Ritual, I suggest you go and listen to all their previous records, especially my personally favorite called Nocturnal. That one’s got a pretty outstanding outwork as well. Just AWESOME. A real musthave for modern death metal lovers.